Back in March, Unity 5.4 entered beta, and now… it’s out of beta. In just a few months! If only certain indie games had equally brief betas, eh? Right. Anyway, this update brings some genuinely great stuff, while at the same time, abandoning support for a certain console and OS revision. Oh and Web Player is dead. Long live WebGL. Now, first and foremost, this one’s about performance improvements. Shorter WebGL build time, better rendering, “fewer draw calls with GPU Instancing”, something something motion vector rendering, and last but not least, VR boosts. Or how about some WebGL 2.0 – however ‘experimental’, for now – support? Yup, that too. Very groovy. 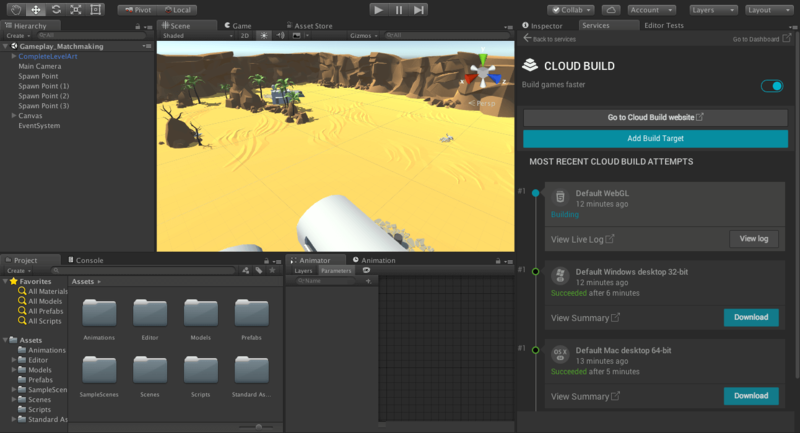 Those looking for more statistics, analytics, and general information availability, are also in luck, as Unity 5.4 adds a bunch of new Unity Analytics features. Because who doesn’t love filling their screen with words and numbers, telling them… uh… well… fancy things about their project? And finally, also in this update, Unity bids a fond farewell to iOS 6, Web Player and the PlayStation 3, replaced by iOS 7.x (and newer), WebGL and the PlayStation 4. So keep that in mind before ya update from 5.3.x, as that one is by no means obsolete just yet. Even less so if you’ve got some unfinished business with it, of course, which I’m sure some do. As for everyone else – you’d probably do well to make the 5.4 leap.